Texting Liability: Can someone texting a driver be liable for a subsequent accident? A New Jersey appeals court recently held that in certain situations, a party can be held liable for texting a driver who is subsequently involved in an accident. In Kubert vs. Best, a New Jersey court reviewed a case involving a 2009 vehicle accident, where Kyle Best, 18, crashed his truck into a married couple riding a motorcycle. Best’s pickup truck crossed the double center line of the roadway and struck the motorcycle resulting in the loss of limbs of both riders. At the time of the accident, Best had been texting back and forth with a female friend, Shannon Colonna, 17. The riders of the motorcycle settled with Best, but also filed claims against Best’s acquaintance, Colonna, claiming that she was partially responsible for distracting Best while he was driving. 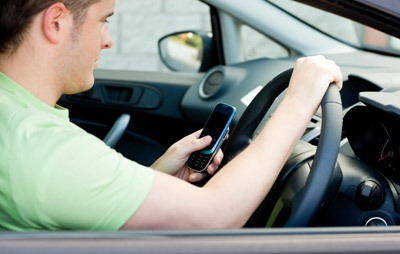 Although the New Jersey appellate court ruled against the riders for lack of sufficient evidence for their claim against Colonna, the court held that a texter could be held civilly liable for distracting a driver, provided that the texter had good reason to believe that the driver would actually respond to the outgoing text. The court held: “We hold that the sender of a text message can potentially be liable if an accident is caused by texting, but only if the sender knew or had special reason to know that the recipient would view the text while driving and thus be distracted.” Despite this holding, the court held that there was insufficient evidence provided by plaintiffs to demonstrate that the sender of the text, Colonna, knew that the driver would respond to the text while operating the vehicle. Although there is no California counterpart to this specific issue, California law does generally ban texting while driving. In light of this ruling as well as California’s tradition of establishing more progressive laws, it should not be surprising for California courts to follow suit and allow this type of liability. According to federal statistics, in 2011, 3,331 people were killed in crashes involving a distracted driver, compared to 3,267 in 2010. In addition, according to one poll, a quarter of teens respond to a text message once or more every time they drive.